In this post we’re going to touch on a couple of topics to do with sharing a toothbrush. Firstly, we’ll explain why it’s not a good idea to share the same brush head as someone else, be it on an electric or manual toothbrush. We’ll then move on to tell you how you can safely share an electric toothbrush (either with the whole family or a partner), and actually use it to save some money at the same time. We also include a few product recommendations that are good if you are planning to share with another person or the rest of the family. Is it safe / hygienic to share a toothbrush? Is sharing an electric toothbrush the same as sharing a manual one? The topic of sharing a toothbrush is a big one with many potential questions on the matter. What are the dangers of sharing a toothbrush? Why should I not share a toothbrush? All of these questions and many like it are best answered by the following paragraphs. Whilst one time sharing of your toothbrush is unlikely to cause any immediate or lasting damage it is strongly advised against doing so. Experts and dental professionals* give a number of reasons for not sharing a toothbrush. Frayed or damaged bristles on a brush and harbour germs and bacteria such as lactobacillus, a germ that causes pneumonia. Does the toothbrush owner have periodontal disease? You might get it if you share! Herpes Simplex Type 1 (cold sores) are easily transferred to the brush. Blood borne illness can reside on the brush head. If the gums bleed when brushed, this transfers to the brush head. If you then use that brush, you become exposed to that illness and transferring that illness or infection straight into your body and bloodstream. Streptococcus mutans is another type of bacteria which is responsible for tooth decay and MRSA infections. It is also known as the flesh-eating bacteria. It can reside on a brush too! Candida is the fungus that causes yeast infections and diaper rash. It likes to live on toothbrushes. Toothbrushes can also harbour the human New Call-to-Action papilloma virus (HPV) that is linked to oral, oesophageal, and cervical cancers. This virus can be transmitted via saliva and sharing a toothbrush. If you must share a brush, rinse it with boiling water first or an antiseptic if possible to try and kill off any possible germs. As part of National Smile Month in November 2014, the Oral Health Foundation published some teeth brushing statistics about people sharing toothbrushes. Almost one in ten (9.7 per cent) said they had shared a toothbrush, and even more said they would consider doing it if they needed to (11 per cent). Almost two in five said they had only rinsed their mouth out with water instead of brushing their teeth. One in seven of still use household items such as business cards, credit cards and earrings to clean in-between their teeth. “Sharing a toothbrush leaves people susceptible to all sorts of oral and general health problems. Just because you kiss a partner or occasionally share a fork or spoon during mealtimes with them does not justify using their toothbrush too. 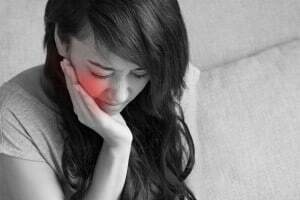 “This is because brushing sometimes causes the gums to bleed, which exposes everyone you share your toothbrush with to blood stream diseases. Therefore, by sharing a toothbrush, the couples are actually sharing blood, which is a lot more risky than just sharing saliva. Instead of sharing a toothbrush, Dr Carter offered some advice on how to maintain your toothbrush to get the very best out of it. “People need to take good care of their toothbrush, changing it once every three months,” Dr Carter added. “They may seem like a rather insignificant tool but they form a crucial part of our daily routine and although most toothbrushes are used twice a day for months on end, they are rarely cleaned thoroughly and are often kept in warm, moist conditions, ideal for bacterial growth. “Perhaps it is considered an unnecessary expense but changing your toothbrush, or the head of an electric toothbrush, is actually very cheap. To spend £8 a year for four toothbrushes is nothing compared to losing a day off work and spending large amounts of money on preventable dental work, unnecessary prescriptions or over the counter medicines due to poor oral health. With an electric toothbrush, the brush heads (the bit with the bristles) are designed to be removed from the brush handle and replaced. This means that you can have one brush handle a brush head for any number of users. Now it’s ok to share a toothbrush! This is of course not the case with a manual brush. You need a manual brush for each person. With an electric toothbrush you also get the other benefits that it brings over a manual brush. 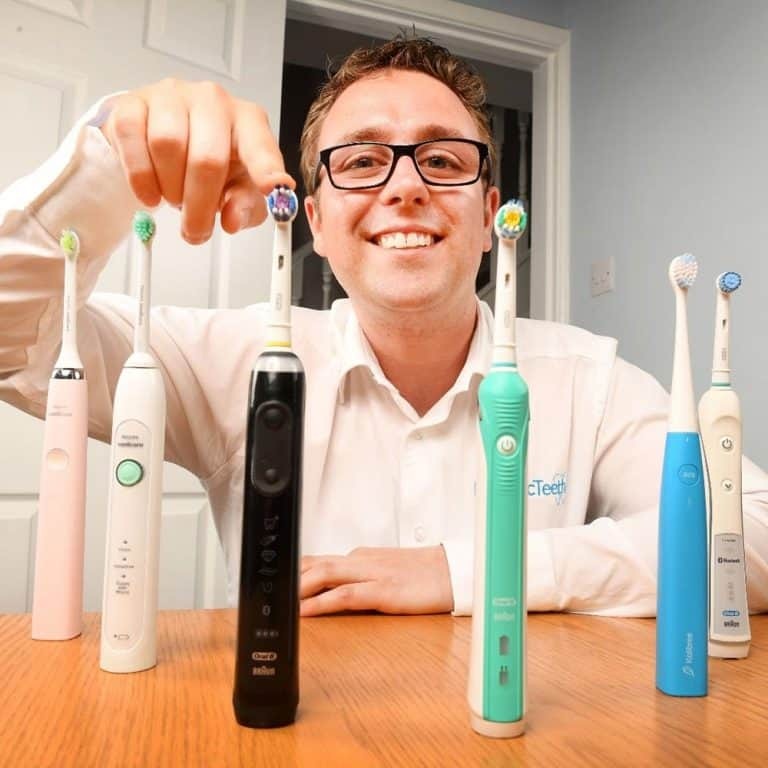 Find out about the benefits of an electric toothbrush in our detailed article; but just a couple of reasons are the advanced cleaning they offer and the added functions available. However there are added benefits from sharing, the primary one being cost. When you break down the cost of ownership of an electric toothbrush to be used by two people rather than one, the cost comes down. In most cases this is almost half because the cost is now split two ways. However, there is the added costs of accounting for extra brush heads for the second user, but don’t be put off. Whilst there is extra cost in buying more brush heads, because you now need to buy more, you can buy in bulk and may well be able to achieve an overall lower cost per brush head. There might be a brush you were eyeing up, but could not justify it just for yourself. However, now you are looking to share it, maybe it is a more viable option and the other user could benefit too. In most cases I have come across, the toothbrush is being shared with a partner, a husband or wife or in a family environment. This means these people are often together. So you can save on things like weight and bulk when travelling. Where previously all may have taken their own brush and toothpaste, now there may just be one handle with multiple heads and one tube of toothpaste. Such savings in space also present themselves in a bathroom. If a family of 4 all had their own electric toothbrushes, that could mean 4 different charging stations connected or needing to connect to the socket in the bathroom for charging! One brush shared between many will save this and the resulting use of bathroom shelf space. With all the benefits do indeed come some drawbacks. The most notable being battery life. The advertised 2-3 week battery life is based on one user twice a day for 2 minutes. Add another user and this battery life is then halved. So more regular charging will be necessary. This is not a big issue all told, especially as most of us leave it on the charging stand. Wear and tear is another possible issue. The more use it gets the more wear and tear the parts are subjected to. Most brushes come with a 2 year warranty, up to 3 years with Oral-B (Find out more). Should the toothbrush fail within this time it is normally replaced. Share between a family of 4 and its possible that the increased wear will leave the brush failing within that time, but no worries, it will be repaired or replaced under the warranty. So in a weird way you actually get better value from it! Travelling. Whilst one advantage is the need for fewer brushes when travelling, the drawback is should one of the brush users be travelling independently, what does the other do? Get left with no toothbrush? Resort to a manual brush? Most travel cases available for brushes will hold the brush handle and normally 2 brush heads. If you are a family of 4, you will need to consider what and how you handle this. Pop them in a carrier bag? Get a travel cap for your brush? If you want to find those electric toothbrushes that come with a travel case or indeed the best travel case for an electric toothbrush, read our toothbrush travel case article. Storing your brush heads when not in use also becomes an issue too. Popular models like the Oral-B Pro 600 or 2000 do not come with any brush head storage compartment. It is not unless you buy the Smart 5 5000, the Smart Series 6500 or the Genius 8000 or 9000 do you get provided with a tray to store up to 4 different brush heads. There are a series of after market options for storing brush heads. Our toothbrush holder and storage compartment article has you covered for the choices open to you. And a point to note is that Phillips do not really offer such storage compartments or stands for brush heads. They also do not offer any simple way of identifying between brush heads. If a family were all to share the ProResults brush head, there is no way to tell whose is whose. Oral-B provide coloured rings that can be used as identifiers on each brush head. You can read more about this in our article Oral-B coloured rings, what are they for. Depending on your budget, you could either go for a brush that comes with a storage compartment, or if you’re looking to save some money, choose one of the cheaper ones on our list of the best brushes, and then buy your own storage accessories. Travelling – Sharing a brush between 2 but 1 goes away….what to do? Sharing a handle with 4, but the travel case only holds 2 brush heads…what to do? Storage – Multiple brush heads need a place to be stored, how best to do this. Some models come with compartments, many do not. Telling the difference – 4 users with the same brush head, how do you know whose is whose. Oral-B solve this with coloured rings. The brand that sticks out for me when it comes to making the whole sharing concept a reality is Oral-B. Whilst personal preference might be for Philips Sonicare, Oral-B offer more in the box that better serves those who want to share a brush. 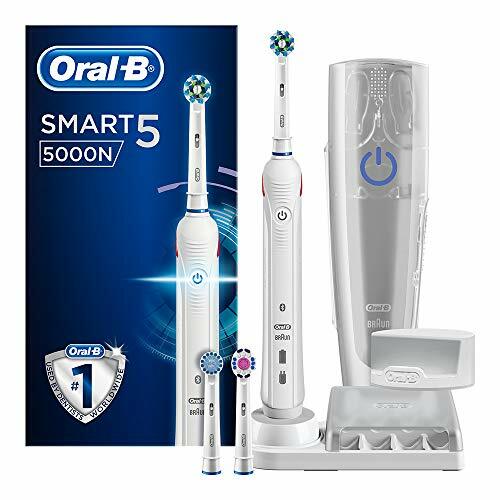 More of their models come with brush head storage compartments that will accommodate up to 4 brush heads; the Smart 5 5950 (view on Amazon) and Genius 9000 (view on Amazon) being just 2 examples. The coloured rings also make it easier to allocate different brush heads to different people and tell whose head is whose, to avoid the old issue of sharing a brush! Generally speaking the cost of Oral-B products are cheaper too. This means the cost of ownership, the replacement heads etc can work out better value in the long run for many, particularly families. Keen to save a few more pennies where you can? Why not take a look at our post how to get cheap replacement brush heads, there are some real savings to be had. One of the drawbacks of sharing a toothbrush handle I mentioned earlier was if one of those you are sharing it with goes away and takes the handle. Someone is left without an easy way of cleaning their teeth. Thankfully Oral-B sort of come to the rescue here too. They actually offer select models where you get 2 brush handles in the package, but only one charging stand and travel case for example. Essentially you get the benefits of having your own individual toothbrush but with some of the cost savings. So for example, a husband and wife who would happily share a brush handle have to be away on the same night of the week. With these packages, they can both have a handle and brush head to take away with them, but they will have just one charging stand that would likely be left at home. The concept is simple but key for the modern home. 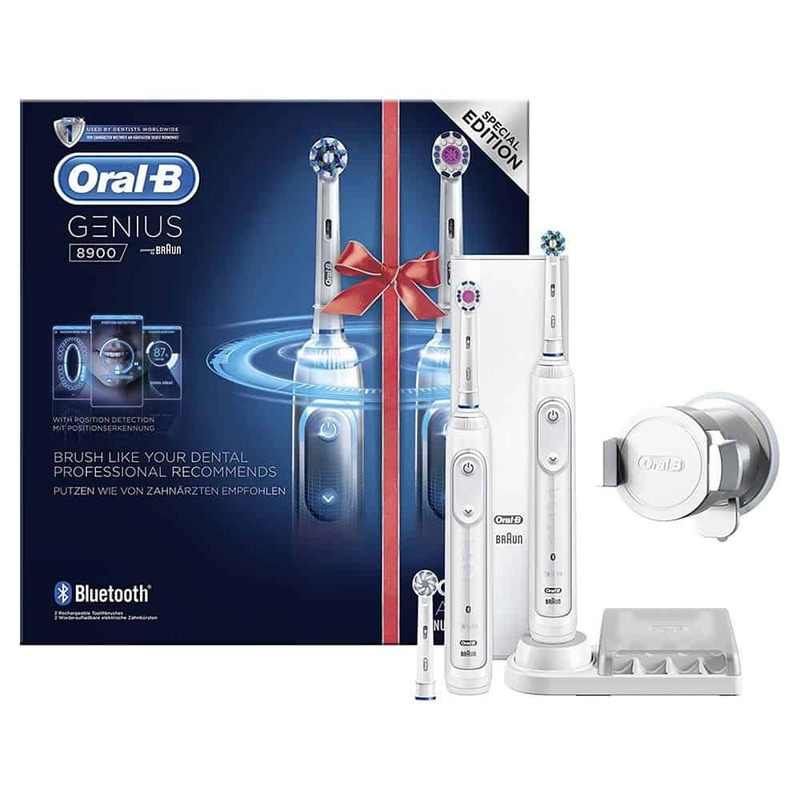 Examples of these dual handle packaged electric toothbrush include the Oral-B Pro 2 2900, Smart 5 5950, the Smart Series 6500 Dual Handle, the Genius 8900 and the Genius 9900. Most electric toothbrushes and associated apps are geared to work for one user. For example if 2 people shared a Bluetooth enabled brush handle, the brush would track 4 cleaning sessions in a 24 hour period. It would then sync these 4 sessions to the app on the paired mobile device. However, this data the app now has is not accurate because it includes the data from 2 different people, rather than just 1. Oral-B have addressed this issue to a point, but it is far from ideal solution at this stage, in my opinion. With one of their Bluetooth enabled brush handles from within the smartphone app, you can disable automatic syncing of the data the brush stores. 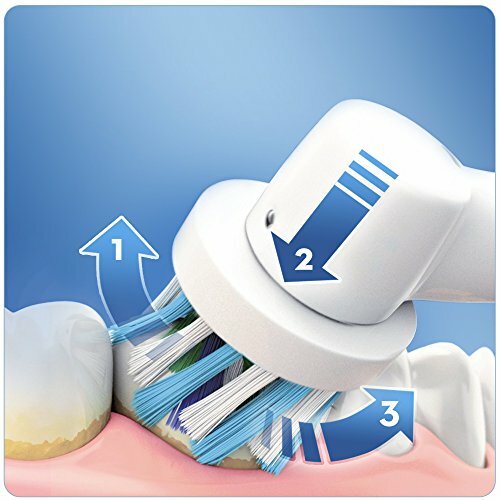 In order to maintain correct brushing records for each individual’s brushing statistics, the automatic synchronisation of cached brush data needs to be turned off. 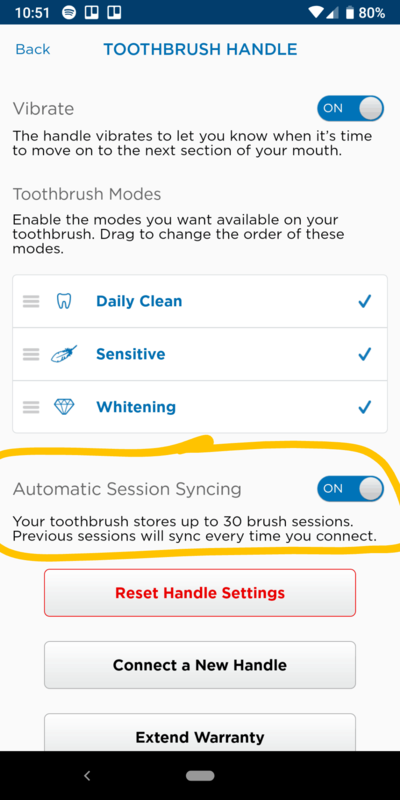 This is completed in the app, by navigating to the left-hand menu and following Settings -> toothbrush handle -> Automatic Session Syncing “off”. With this setting disabled, all users can use the one brush handle in combination with their individual smartphone and installed version of the app. However, any brushing events that take place in the absence of the app will not appear in their statistics and will be lost. 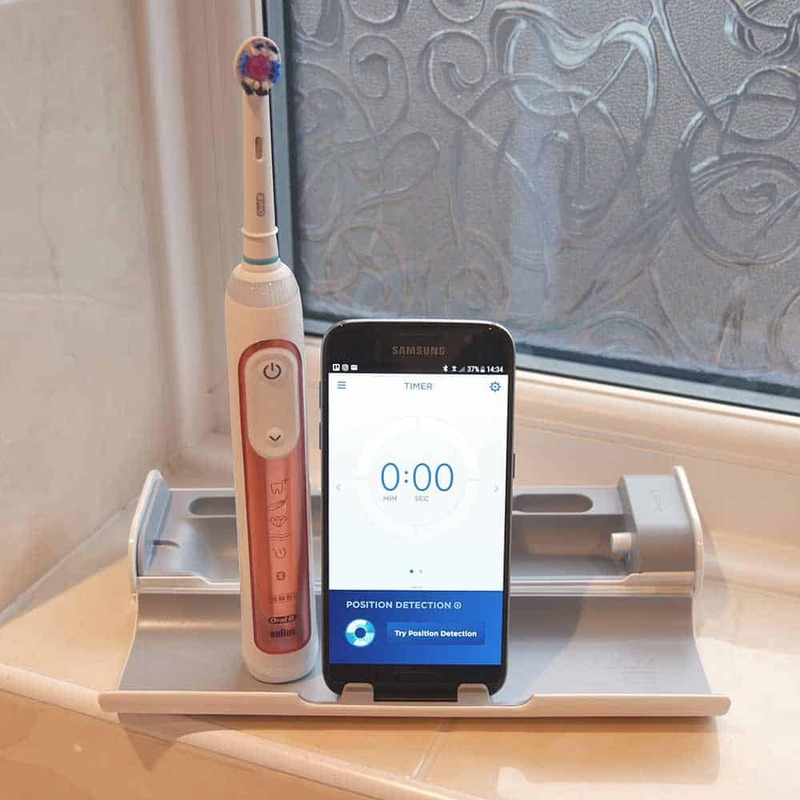 Essentially what this means is that 2 or more users can make use of the Bluetooth connectivity and tracking on their own phone, as long as they have their phone within Bluetooth range every time they brush, to allow for the immediate syncing of the tooth brushing data to their phone. Another option, perhaps more expensive, but less hassle is to consider either the dual handle packages of the Genius 8900, 9900 or the Smart 5 5950 (view on Amazon). In these packages you get two brush handles. This will potentially mean rather than sharing brush handles, each user will have their own, and you will only be sharing the charging stand and other included accessories. Now each user has their own brush handle, their own cleaning data can be recorded and shared to their own mobile device for performance review, without the need for the phone to be in range every time you brush. In many respects yes in others no. This whole article discusses sharing a toothbrush, specifically an electric one. However this is all based on each user replacing the brush head on an electric brush to one just for them. One brush handle, but one brush head per user. An option which is not available on a manual brush. Of course it is possible for one electric toothbrush with one head to be shared amongst multiple users, but the dangers and advice on not doing this are the same as with a manual brush and it should be avoided. We get quite a few queries about sharing an electric toothbrush. Whilst everyone’s circumstances are different, most common is a family setup with a parent or two and several children. A number of brushes have been mentioned throughout this article, so here are a couple of suggestions with a brief explanation of why they are a good option. Please note, for these recommendations it is assumed the family share a bathroom. There is unlikely to be a perfect solution for all and issues like travelling as mentioned earlier in the article, still pose an issue. 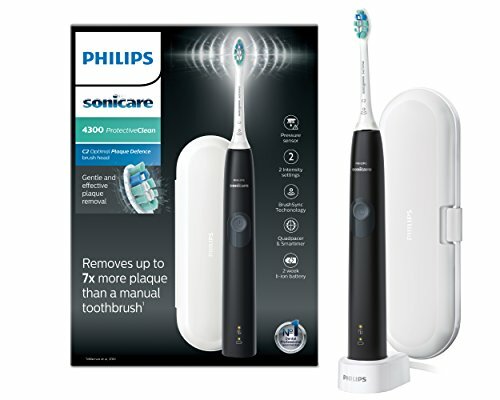 A good value electric toothbrush with a 2 week battery life, built in timer, quadpacer, pressure sensor and travel case provided. No Bluetooth connectivity. Families may want to invest in a brush head holder/storage compartment such as this original Oral-B part. 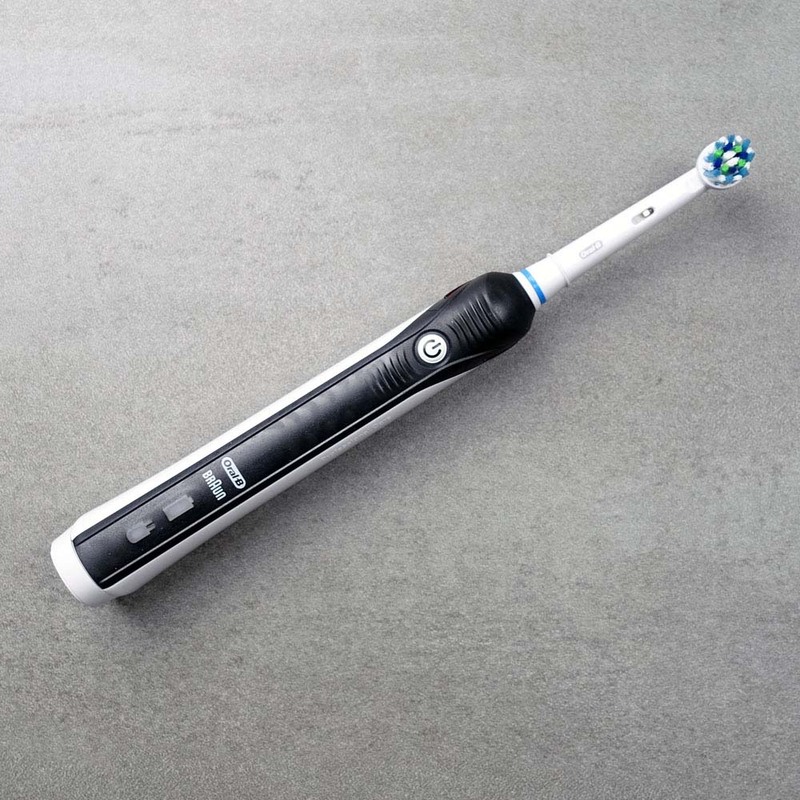 A more premium electric toothbrush with multiple cleaning modes and Bluetooth connectivity. 2 week battery life as well as desirable features such as a timer, pacer and pressure sensor. It comes with a brush head storage compartment and 3 brush heads in the box. Slim and stylish in hand, it has an excellent battery life and is not bogged down with features you won’t use. A built in timer, pacer and pressure sensor as well as a brush head replacement reminder. Brush heads are more expensive to benefit from this reminder system and there is just 1 head supplied in the box. Families may want to invest in a third party brush head storage/holder unit such as this. Do you or have you shared a toothbrush in the past, be that manual or electric. Have you got any comments, thoughts or opinions to add? I would love to hear what you have to say. Leave a comment below and help benefit others.